The Binge Eating and Compulsive Overeating Workbook is for you if you’ve been struggling with binge eating or compulsive overeating. 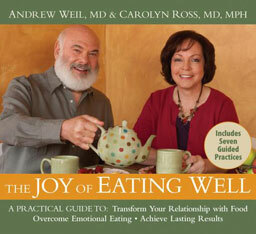 In this book, you will learn about the Five Principles of Healing Eating. 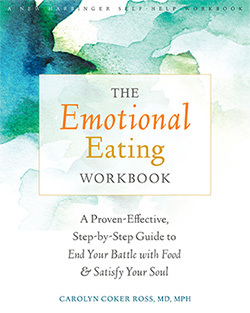 As well, this workbook will help you gain insight into emotional and stress eating, core beliefs that may be causing you to continue to have unhealthy behaviors and skills to help you learn to manage your emotions and cope with stress without using food. This is not a diet book. It is a book for people who are SICK of dieting who want to stop the vicious cycle of overeating and binging and put an END to body hatred. The Binge Eating and Compulsive Overeating Workbook will help you learn to shift your relationship with food and with your body and will give you the tools you need to change your lifestyle permanently. Stop “feeding” the diet industry by buying and trying every new fad diet on the market. Regain your hope that you can stop letting food control your life. This book will help you address your food and body image issues from a whole person perspective. After all, you are NOT just what you weigh; you are not your behaviors either. The number on the scale does not tell the whole story. 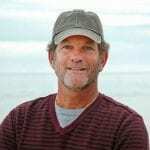 Recapture and reconnect with who your really are – your true self- and start living your life again instead of waiting to live until you can live up to society’s thin ideal. You deserve happiness! 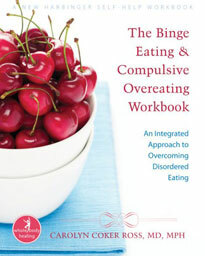 The Binge Eating & Compulsive Overeating Workbook: An Integrated Approach to Overcoming Disordered Eating. By Carolyn Coker Ross, MD, MPH. 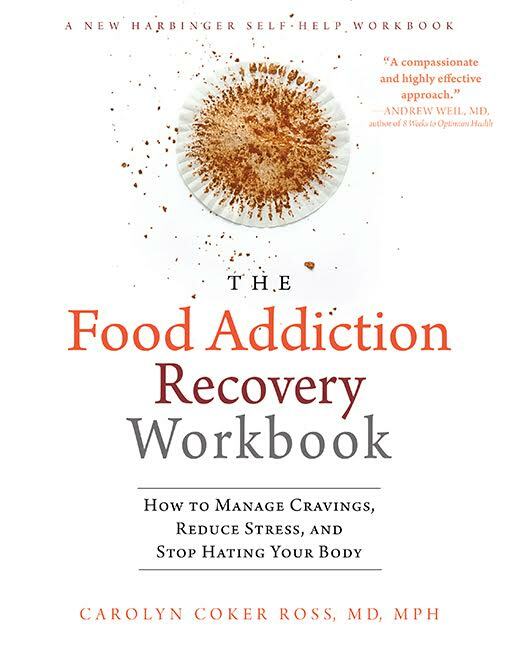 In this workbook, Dr. Carolyn Ross adds a unique voice to the field of eating disorders. 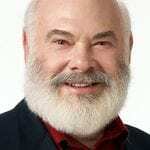 She is a physician, a graduate of Andrew Weil’s integrative medicine program, a consultant to several eating disorder programs, and board-certified in addiction medicine. 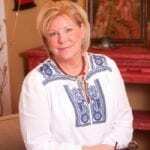 Dr. Ross specializes in a holistic approach which embraces the comprehensive healing of the client’s body, mind, and spirit. 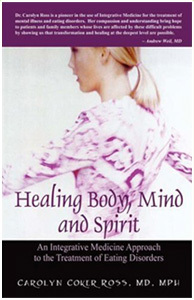 In her book she explains the curative role of macro and micro nutrients, vitamins, and dietary supplements; explores the role of complementary medicine such as acupuncture, massage, and yoga; discusses the value of various types of psychological help such as interpersonal, Dialectic Behavioral Therapy, and CBT therapies as well as the role of medication. Self-rating scales throughout the workbook help the reader identify their personal roadblocks to recovery, and she provides strategies to work through them. “Ultimately,” she writes, “the healing process is about getting back to your true self, the self that expresses the deeper urges of your soul. 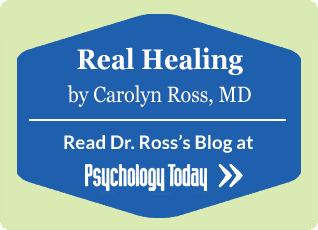 Your soul self is the anchor that sustains you in recovery.” The importance of cultivating your “soul self” resonated for me as so many of my patients in recovery from their overeating discuss their “false” selves and describe how they fake their feelings in order to get along in their relationships. I gently explain that it takes a lot of calories to stuff down your real self and fake your way through life! 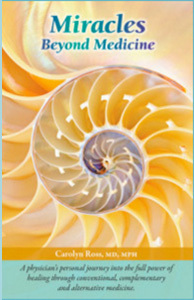 Readers of this workbook will learn how to design their own personal stress management plan. Dr. Ross wisely recommends, “In all things, choose the thought or action that makes you feel the most whole.” This valuable workbook will show you how. Book review submitted by Mary Anne Cohen, Director of The New York Center for Eating Disorders, author of French Toast for Breakfast: Declaring Peace with Emotional Eating and Lasagna for Lunch: Declaring Peace with Emotional Eating.